Today, the Education, Science and Culture Committee of the Baltic Assembly discusses the development of vocational education and training in the Baltic States at its meeting in Tartu. Chairman of the Cultural Affairs Committee of the Riigikogu (Parliament of Estonia) Aadu Must thinks that the Baltic States have to cooperate more closely in developing vocational education. 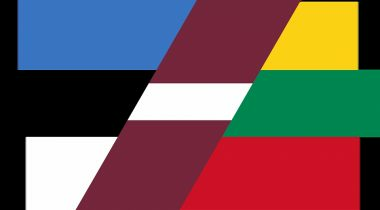 “Our concerns are similar to those of Latvia and Lithuania, they are connected with the reputation of vocational education and updating the study programmes. It is important that vocational schools train skilled workers on the basis of the needs of today and tomorrow, because in the longer perspective this will influence the sustainability of economy,” Head of the Estonian delegation to the Baltic Assembly Must said. In the opinion of member of the cultural Affairs Committee Krista Aru, the issue of vocational training in and cooperation between the Baltic States is wider than the network of vocational education institutions today or the level of vocational training. “We have to dare to look into the future together, so that already in the coming years, sharing modern equipment and state of the art technology, we would be ready for vocational training and retraining in the fields we maybe cannot even name today,” Chair of the Education, Science and Culture Committee of the Baltic Assembly Aru said. She added that we had a great possibility to learn from the experience of the Nordic Countries in updating vocational studies. The recommendations of the Baltic Assembly to the Baltic Council of Ministers for improving cooperation in education, research and innovation will also be discussed. Besides that, the results of last year’s PISA tests will be summed up. Experts of the Nordic Council, Baltic Council of Ministers and the educational sector participate in the meeting held at the Ministry of Education and Research of Estonia. The Riigikogu is represented by Aadu Must, Krista Aru and Viktoria Ladõnskaja.